Cerveza Preparada ("Prepared beer") is a Mexican term for a mixed beer drink involving juices and/or sauces. In English cerveza preparada would be considered a beer cocktail, or a variety of shandy. The drink dates back to the 1940s, when mixing beer with tomato juice and hot sauce or salsa became popular in Mexico. 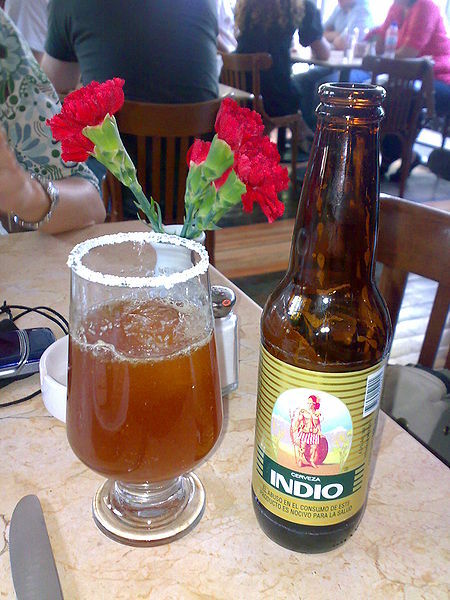 Left: Michelada (in the glass), a common type of Cerveza preparada. Next to the glass is the bottled beer used as the primary ingredient. The basic recipe is tomato juice (or sometimes Clamato or V8) mixed with Mexican beer (Corona or Modelo Especial) and the juice of half a lime in an ice-cold, salt-rimmed pint glass. Add the beer by pouring it from high above the glass so the contents can mix properly. Some of the better-known variations include Michelada, which is similar to a Bloody Mary but contains Mexican beer instead of vodka, and Chavela, a Cerveza preparada that is popular in Mexican restaurants as both a drink and as an appetizer if served with a garnish (see the recipes for both drinks below). Mix the fresh squeezed lime, Worcestershire, teriyaki or soy sauce, hot sauce. This mix goes in the glass with the beer, not in a shot glass. Serve chilled, garnished with lime. 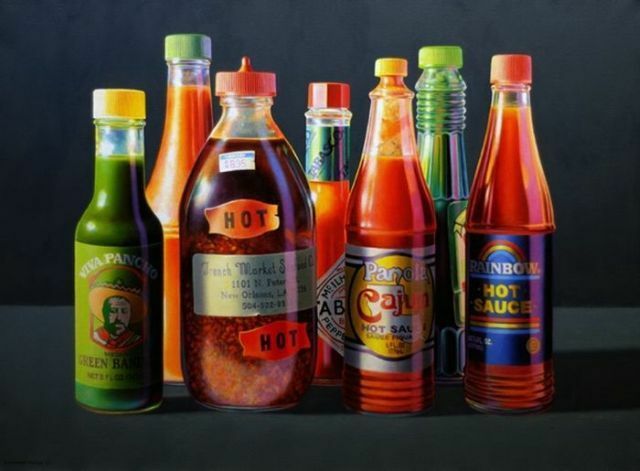 Right: Different types of hot sauces. Serve in an ice-cold salt-rimmed mug and garnished with crudités (carrot and celery sticks) and/or shrimp.